Creating Context: Why a Seder on Human Trafficking? I spent an evening recently at G House, an affiliate of Larkin Street, an organization that serves young people who are experiencing and who have experienced homelessness. As we started to eat, the awkward feeling in the room began to melt away, providing a space for deep, meaningful and eye-opening conversation. We never talked about the experiences that led any of the residents to live at G-House, nor did any of them mention challenges they faced throughout their lives. They were filled with hope, sharing information about new jobs, academics and goals they’d set for themselves. As I prepare for our upcoming discussion on freedom and human trafficking, I couldn’t help but wonder, had any of these young people felt enslaved or trapped at some point in their lives? In order to survive, had they been exploited, demeaned, or abused? Growing up, I never realized how many people became trapped as a result of situational vulnerability. I had never stopped to think that despite a growing number of opportunities due to technology and globalization, so many more people than I could imagine were forced into some sort of human trafficking. Reported on NPR.org, “Human trafficking has taken on "horrific" dimensions, according to the 2018 Global Report on Trafficking in Persons released this month by the United Nations Office of Drugs and Crime (UNODC).” In 2017, 25,000 cases of trafficking were reported, a sad and scary increase from previous years. In the Bay Area, a place I’ve chosen as my home, where I am building my family, and one of the richest geographies in the world, hundreds of survivors of human trafficking are identified each year. This doesn’t account for those people still being victimized. As I dig deeper into the statistic and resources around human trafficking, I find myself both increasingly heartbroken and hopeful. While the numbers of those being exploited are staggering, I am amazed by the amount of organizations that have been created and who are fighting the good fight to identify and eradicate all forms of human trafficking. Instead of turning a blind eye to what is happening around me, I can get involved. At one point during our dinner at G House, one resident said “without the bad, there can be no good.” Her point was clear, it’s difficult for humans to recognize virtue, kindness without having experienced the opposite at some point in our lives. Recognizing evil gives us the space to be empathetic and the motivation to take action. 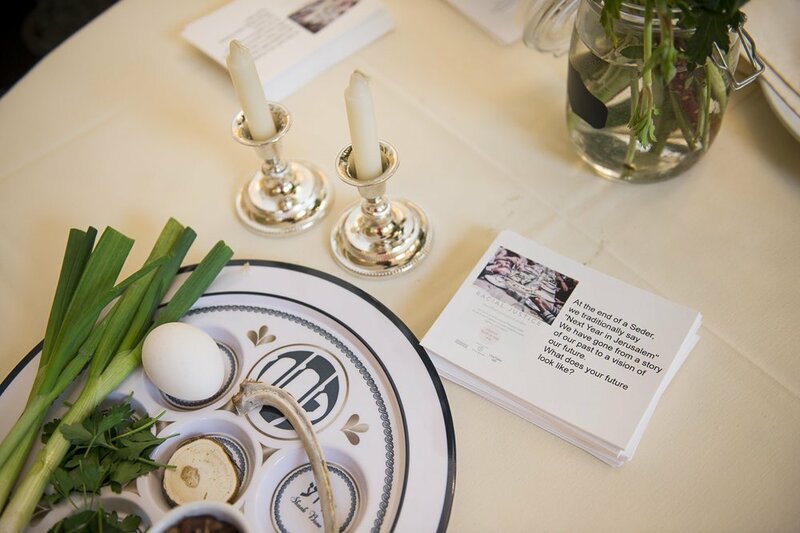 Just like at G House where people from different backgrounds connected over a shared meal, the power of the Shalon community gathered around the dinner table gives us the ability to tackle tough issues and begin a shared journey towards impact. Join us at our Shalon Seder for Freedom from Human Trafficking as we expand our perspective on the issues in front of us commit to making change.